From 1808 Magazine April 2017. “Call it a picker’s paradise. Or a second chance for salvaged goods. We’re talking about Architectural Salvage. It’s a mecca for people restoring old houses or anyone who likes to make new stuff out of old stuff. 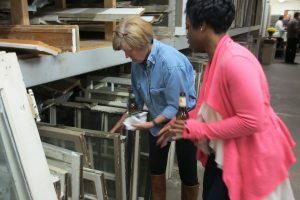 Rescued from historic buildings set to be demolished or restored, antique window frames, faucets, chandeliers — and even soap dishes — await someone who can repurpose them. All it takes is a little imagination, some skill or a lead on someone who can bring your vision into fruition. Here’s a sampling of treasures to be found there and what you can do with them. Imagine them as rain chains or wind chimes. Or paint them and place them in the fireplace as decoration. A less glamorous use for them: weights for trot lines or small boat anchors. Cited in Preservation magazine and The Chronicle of Philanthropy as a national model for innovative programming, ASG has contributed to historic preservation initiates throughout North Carolina as a source for “Old House Parts.” In salvaging homes slated for renovation or demolition, ASG has orchestrated hundreds of volunteer hours annually and saved more than 20 tons of vintage materials from city landfills each year. 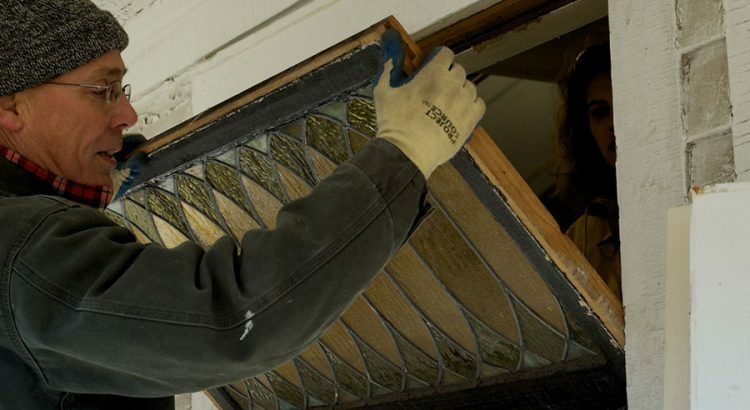 This saves the community in terms of disposal costs, and extends the lifespan of existing architectural elements that are reinvested into homes and structures through community preservation efforts.